The Long Island Game Farm has announced that Emma Hallowell, a student at Cornell University, has received a $500 grant from her college for a research project she is performing at the Game Farm. 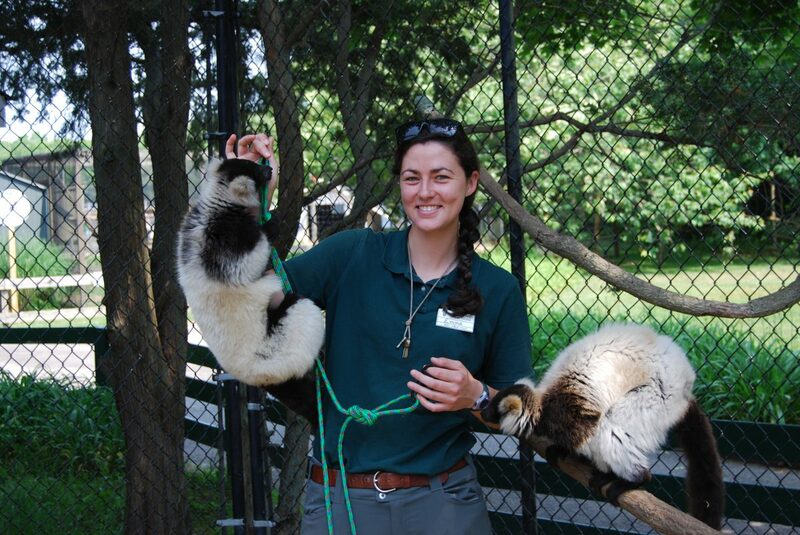 As part of this study, Ms. Hallowell will determine whether environmental enrichment will provide a level of mental stimulation capable of preventing stress and stereotypies (repeated actions with little or no function, such as pacing, self-harm, rocking or excessive vocalizations) and stress in ruffed lemurs. She will study the presence of stereotypies, daily activity (eat, forage, play, groom, rest), vocalizations, aggressions and expressions of stress. Three separately housed pairs will be studied, with two as the experimental group and one as the control group. Ms. Hallowell will spend time studying one pair each day until late August. She will record any stereotypies and daily activity. The experimental groups will receive environmental enrichment in hopes that there will be a marked change in behavior by the end of the study period. The control group, meanwhile, will receive no added environmental enrichment in an effort to identify factors, such as weather, public attendance, etc. that may affect daily behaviors. At the end of the study period, she will present each group with a novel object, which is an object that can be manipulated and has not been previously seen by any of the groups taking part in the study. The novel object will test if the different levels of enrichment is changing their behavior. Previous Previous post: Take Dad to the Long Island Game Farm This Father’s Day Weekend!